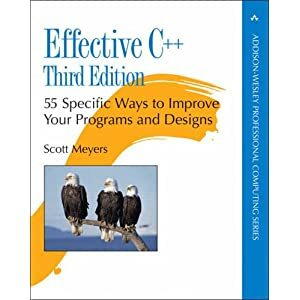 This exceptionally useful text offers Scott Myers’s expertise in C++ class design and programming tips. The second edition incorporates recent advances to C++ included in the ISO standard, including namespaces and built-in template classes, and is required reading for any working C++ developer. From beginning to end this book is packed with information that is IMMEDIATELY applicable. For example “Always declare destructors to be virtual” otherwise you may end leaking memory when subclasses are deleted. Or hiding the implementation of a class in an “Impl” that your class just passes through to. That way, if the implementation changes, the clients of the class are protected from recompilation. Beyond the wealth of just downright practical information the oragization is fabulous. The only other technical book that has organization as good as this one is “Design Patterns” There are several chapters such as “Memory Management” that have “Items” and each item has a few paragraphs describing the motivation for why you should believe Meyers with examples to prove it. Then there are solid examples that show the implemantation of an example usage. My company gave this book out with “Design Patterns” to EVERY developer in the company, and it was probably the smartest thing I’ve ever seen a company do. Read it and learn a TON.